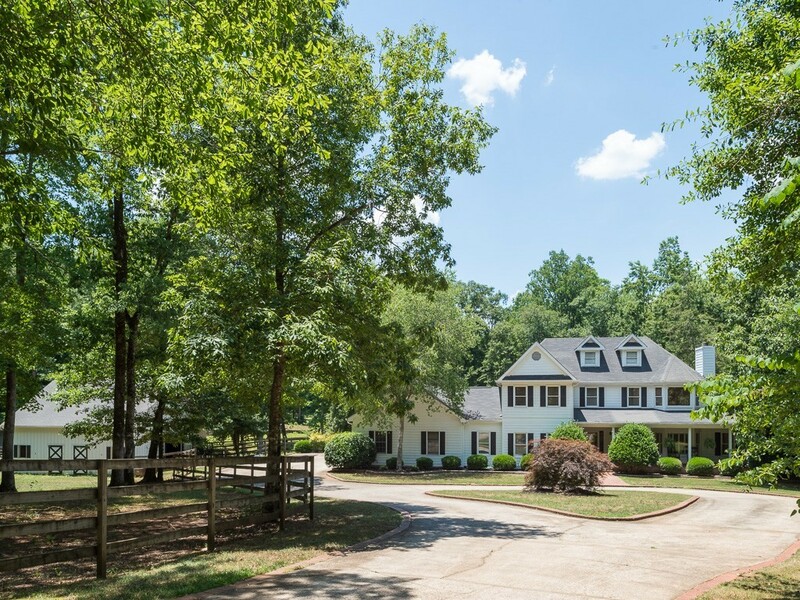 Welcome to this fabulous equestrian dream home. Property is complete with 4 stall Morton barn, 3 pasture areas, horse fencing, hot walker & riding ring. This home boasts hardwoods on the main, surround sound built in & on deck, 2 fireplaces- 1 in MBR sitting area, cedar closet, full screened porch, vapor barrier, work area in garage & massive storage throughout. Wet bar located off family room.Kitchen includes granite counter tops & top of the line S/S appliances- Wolf frig w/dbl freezer,Sub Zero vent hood. Walk up attic.Master on main. 7.2 beautiful rolling acres! Directions: From Fayetteville, Travel South On Hwy 85 Towards Senoia. Six Miles South Of Courthouse Square On Right.